My father told me before I headed out ‘on Tour’ – “if you have a weakness the Tour will find it”. On reflection he was so right. I look back over the years at the casualties, some from drink, drugs, lifestyle choices, marital problems and the rest. These are I suppose normal in all walks of life but in the small community on tour, very visible. The casualties that are not normal in life are what I call the ‘stake through the heart’ wipeouts. 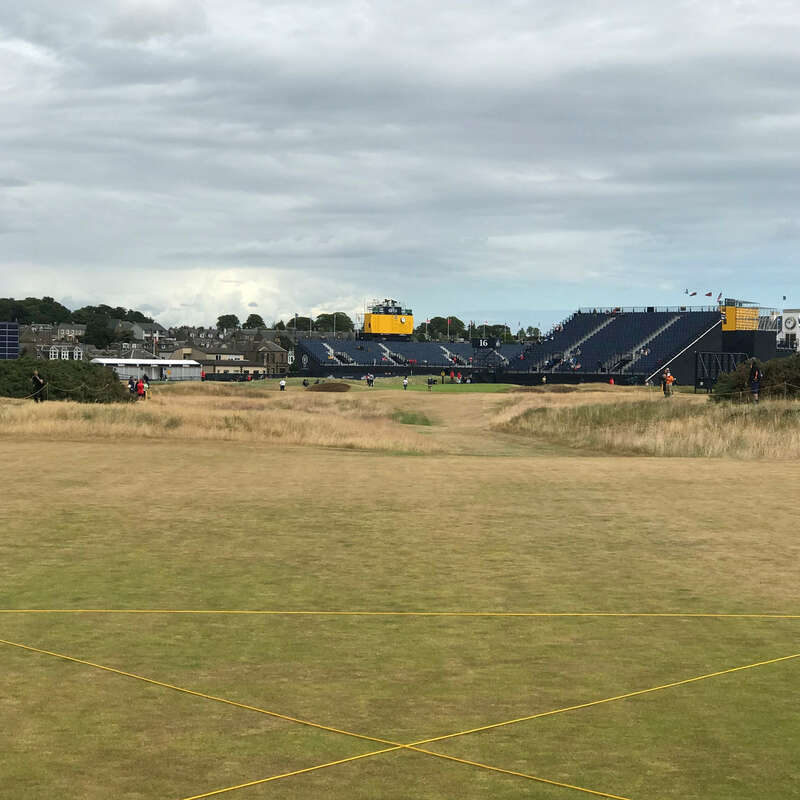 Sport delivers agony and ecstasy in abundance as seen in the recent World Cup and as it will no doubt again at this weeks Open Championship in Carnoustie. 16th hole sat Carnoustie Golf Links. At 245 yards, this par 3 is really a 3.5. Four pars here is a outstanding return this week. Golf as a sport is a silent, still ball game where playing as a gladiator between 50,000 spectators in the famous ‘tunnel’ between the huge grandstands on the 72 hole can be a very, very lonely place. Jean van de Velde speaking at The Golf Writers Dinner at Carnoustie. It can be a place of extreme ecstasy as it was for Seve, Jack and Constantino Rocco in St. Andrews. As in life there are many silent casualties that went unnoticed. They were more painful and enduring and ruined promising careers of hugely talented players such as Bobby Cole from South Africa. He shot 72,66,66 to lead The Open in Carnoustie in 1975 and totally disintegrated during the last round. He was never heard or seen of again. Bobby Clampett, the boy wonder of golf led The Open by 7 Shots as a rookie in 1983 and his technically built golf swing and mentality proved vulnerable and fatally fragile.He was never the same again. Doug Sanders had one hand on the Claret Jug in 1970 and missed a two footer in St. Andrews on the 72nd hole and that was the end of his colorful and flamboyant golfing career. Jesper Parnevik at Turnberry and Simon Owen are two other victims. Will some player this week experience the wrath of the famously stern mistress of Carnoustie? She has never stood so benign and defenseless. Even her faithful defender the Barry Burn will not be able to protect her and unless mother nature intervenes, they will lay her waste this week. In practice, they mock her by hitting 447 yard drives on the baked concrete fairways into the burn on the edge of the 18th green!! Unthinkable historically. They are hitting 7 irons 240 yards off some tees to allow an attack with a mid iron on receptive almost unnatural looking evergreen greens. They will be merciless with their onslaught in their quest to win the greatest championship of them all, The Open. Will some young buck like Rahm dare to attack her with a vengeance, hitting drivers everywhere as the odds are favorable in the brittle dry sparse rough, if you can call it that. Or will Tiger who has only hit one driver in three days ‘stinger’ his way to what would be a historic comeback of the magnitude of Hogan after his train crash. Will the game bestow a major to the patient and persevering Rickie or will the magical shot-making of Bubba do the job. Fleetwood will be the local favorite and if Rory’s putter lights up he can win again. There is a strong case for the short hitters that putt well. That qualifies Zach Johnson and Jim Furyk. One thing is for sure it will be an Open Chamionship to remember in a way like no one before.